At the start of every endurance race is a hope for the finish. You design, you build, you plan, you prepare. You make contingencies, and backup plans for the contingencies. As the start draws closer, you double-check everything you can, cross your fingers for the things you can't control, and you get ready to rock and roll. 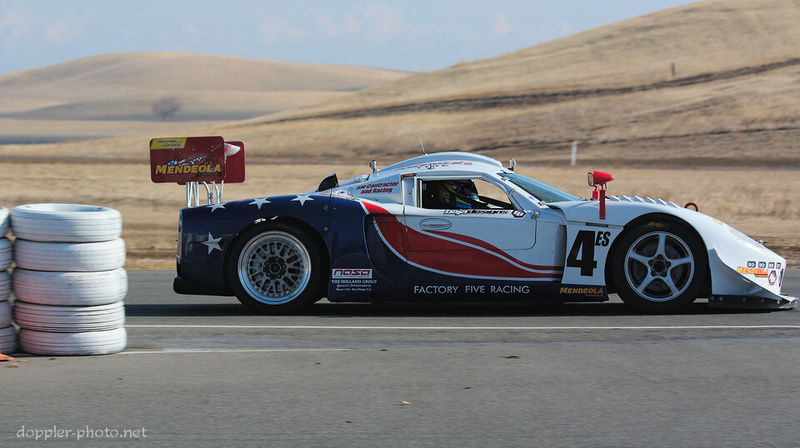 The start was looking pretty good for the #4 Prototype Development Group GTM. By their second lap, they were already running ~2.5 seconds faster than their 2013 qualifying time (which was likely run on a damp track), and ~1.5 seconds faster than their 2012 qualifying time. On lap 3, less than 5 minutes into the race, disaster struck. 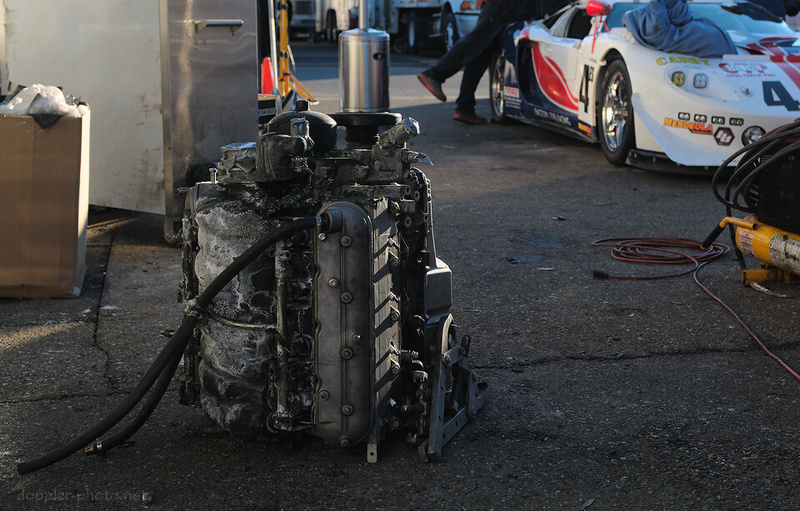 A fitting on the fuel rail of their LS3 engine detached and started spewing gas around the engine bay, which quickly ignited. A teammate later told me that it was getting so hot in the cockpit that when the car came to a stop, the driver jumped out without even activating the fire suppression system. Everything in the engine bay was deemed a loss, as were some components mounted near the firewall (such as the safety harnesses). At that point, I figured the car was done. At the start of every endurance race is a hope for the finish, but sometimes, reality intervenes. It turns out, the team had other plans. One of the other photographers mentioned offhand that the GTM was being rebuilt, and I went to see for myself. Sure enough, I got to their paddock space to find them hard at work. The car had caught fire at around 11:20. This photo was shot at 22:00. 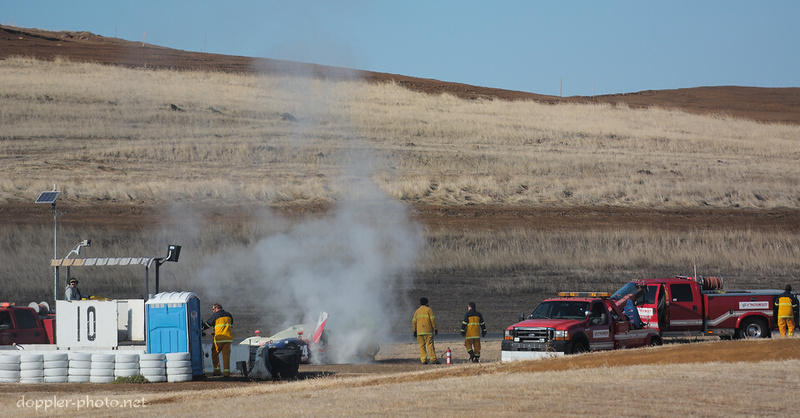 During the intervening period, they had removed all of the fire-compromised components from the car, and had also sent a subset of the crew on a 5-hour round trip to fetch their backup engine and other replacement components. 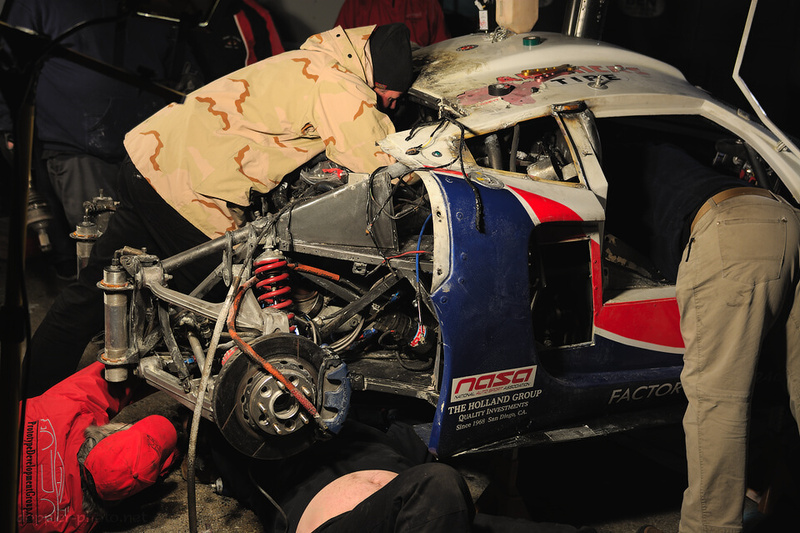 In the photo, the team works to run a new engine harness through the vehicle, as the backup engine isn't electrically compatible with the original engine. By 8:30 Sunday morning, the car was completely back together and would run. According to a team-member, the replacement engine first came to life around 1:00 am on Sunday morning, but they had spent the time since that point trying to hunt down electrical gremlins that were keeping the engine from running properly. 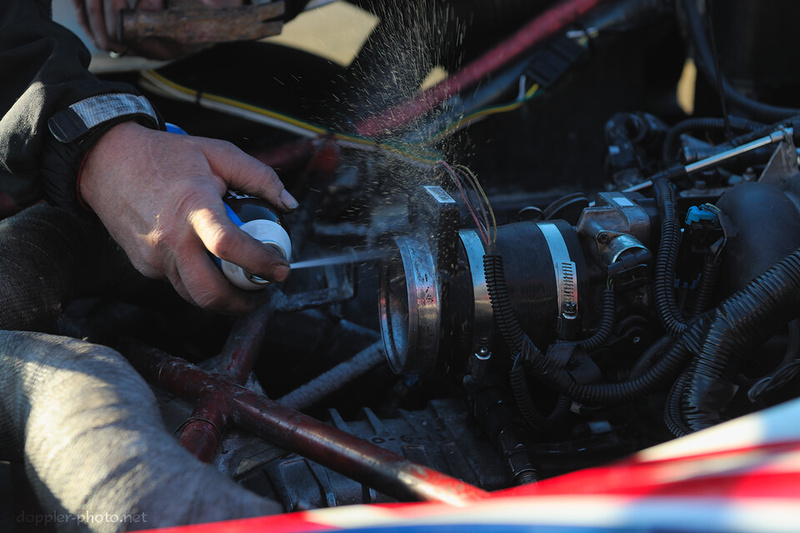 A mechanic sprays solvent on the Mass Air Flow (MAF) sensor as the engine runs. He told me that the engine was running very rich (air/fuel ratio too far toward the "fuel" side), and they suspected that the MAF wasn't properly communicating the amount of incoming air to the Engine Control Unit. As morning turned to day, the team decided to just get the car back out on track. It came in every couple laps for driver changes, just so everyone would get a chance in the car. I was curious whether they'd been able to fix the electrical issue, but a surge of backfires during every deceleration confirmed that the car was still running extremely rich. Seeing the car run down the front straight again reminded me of a discussion I'd had overnight with one of the team members. The car wasn't just a car; it was a symbol. He seemed to feel that having the American flag painted on the car raised it to a higher standard, in a sense. "[The car] always finishes," he told me. And while not strictly true, I understood what he was saying. 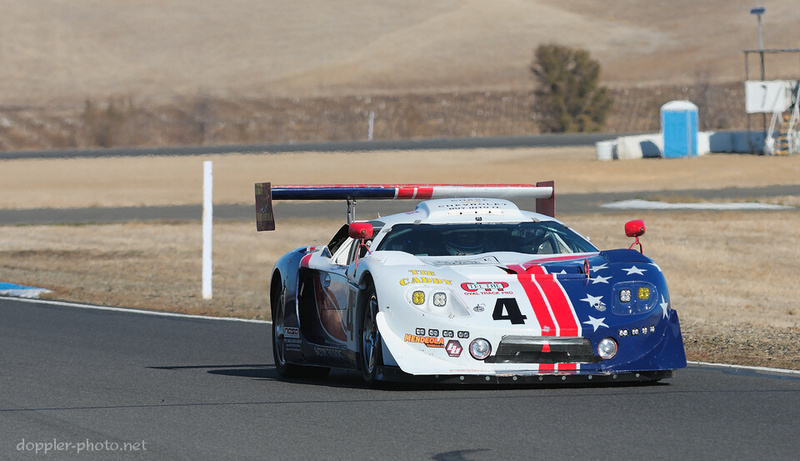 Just as the members of a color guard have a special sense of honor and pride about them, the team surrounding the star-spangled GTM had a similar sense of honor and pride for their own mission. The question of finishing the race wasn't "do we or don't we? ", it was "how do we make this happen?" 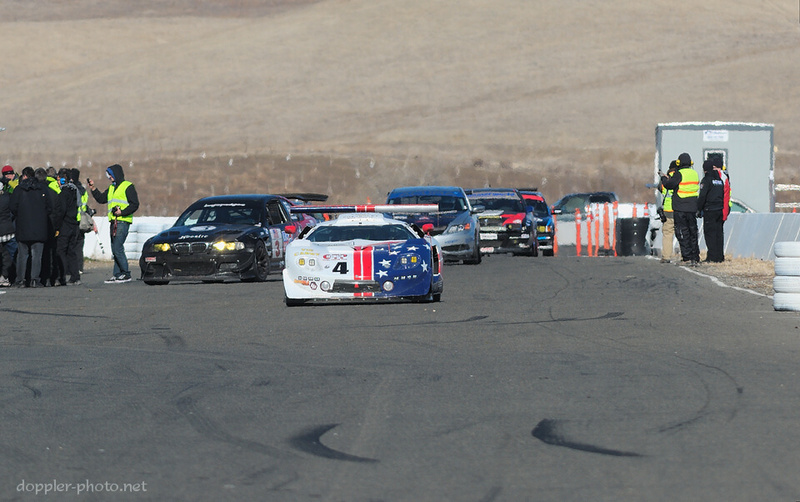 In a surprisingly symbolic finish, the GTM leads the field into the pits after the checkered flag. 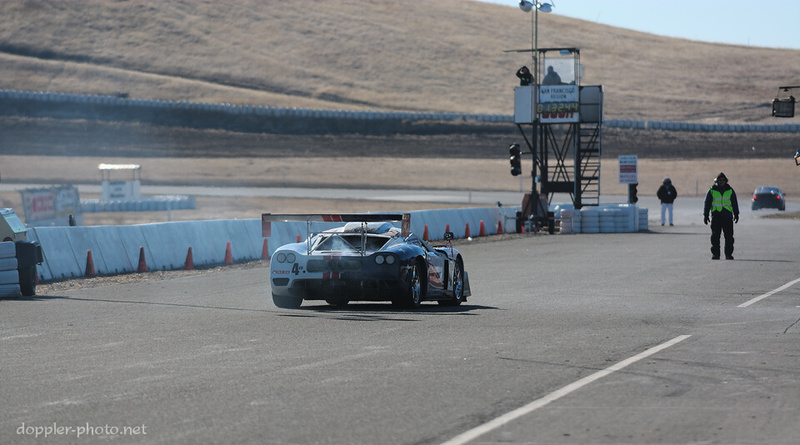 At the awards ceremony, the Prototype Development Group team received an award for embodying the spirit of the 25 Hours of Thunderhill. 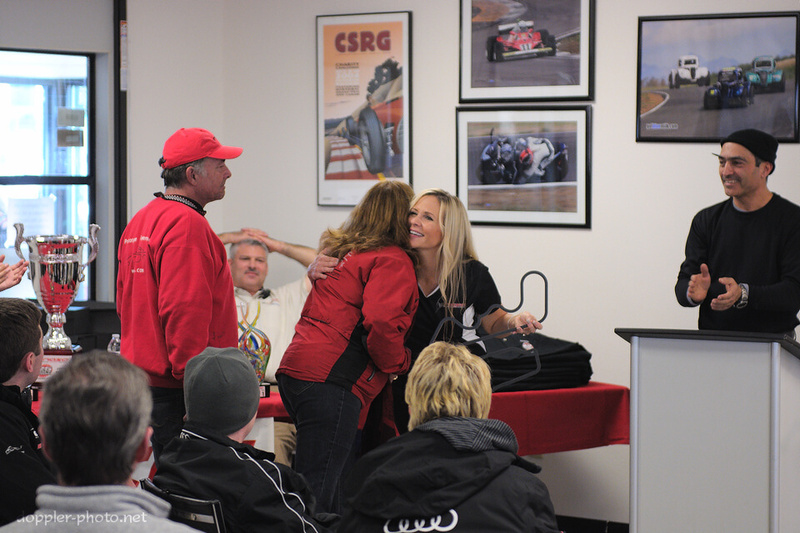 In the photo, team managers Richard Migliori (left) and Yvonne Migliori (right) receive the award on behalf of the team, as Jerry Kunzman (center, rear), co-founder and executive director of the National Auto Sport Association sanctioning body, looks on. 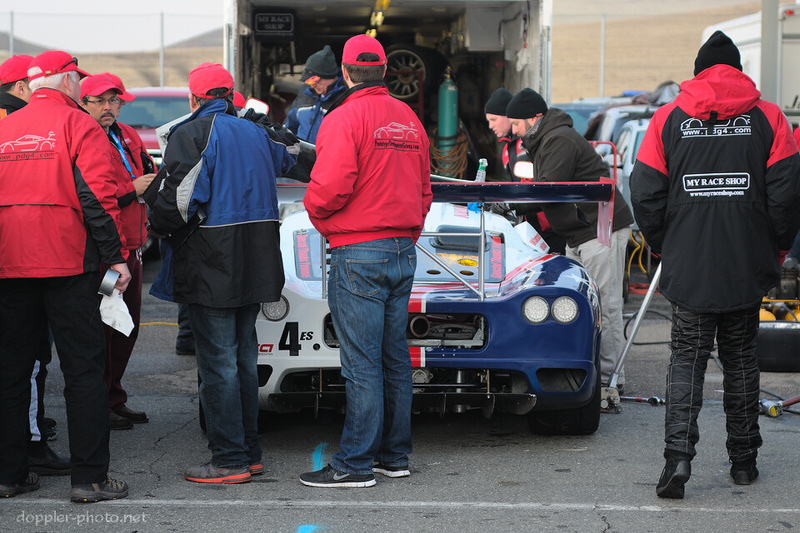 Coming up tomorrow: A story of the Thunderhill safety crew, and how they made the track feel like home. If you're enjoying this series, please help encourage my work by supporting me on Patreon. It really helps keep me going, and it makes time-intensive posts and series possible. I would sincerely appreciate your help.